By most standards the house is humble. When it was originally built more than 30 years ago, it was just under 1,000 square feet with four corners and a single ridge beam. 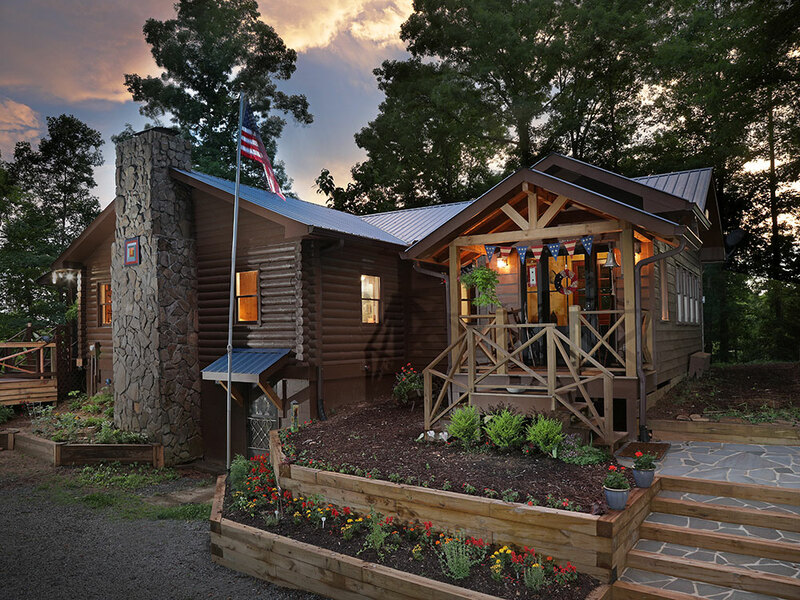 Michael Grant, the founder of Modern Rustic Homes located just outside of Atlanta, was introduced to the quaint cabin by Joyce and Oscar Carrasco. Oscar, a recently retired United Methodist minister, and Joyce, a retired teacher from the University of Chicago Laboratory Schools, were transitioning from busy parsonage life in northern Illinois to North Georgia, but their journey to this place in life began long before. In l970, Joyce was a young college graduate and Methodist missionary assigned to southern Chile to teach and work with youth. One of her first stops was to Curacautin, where she met a young electrical engineering student named Oscar Carrasco. According to the couple, it was love at first sight, and thus began a story that melded language, culture and faith. Oscar and Joyce married in 1972, and by the summer of ’73, they left Chile for the States to attend graduate school and seminary at Emory University in Atlanta. Four children joined the journey that has produced a tapestry of public and military service from the Marine Corps to the U.S. Air Force JAG; international business to the wild ride of Hollywood. Before Michael was introduced to Oscar and Joyce, he met their son, a U.S. Marine infantry officer, who perchance stopped by his log home model and office. He was between deployments and had come to visit his grandmother, who was living in a log house. 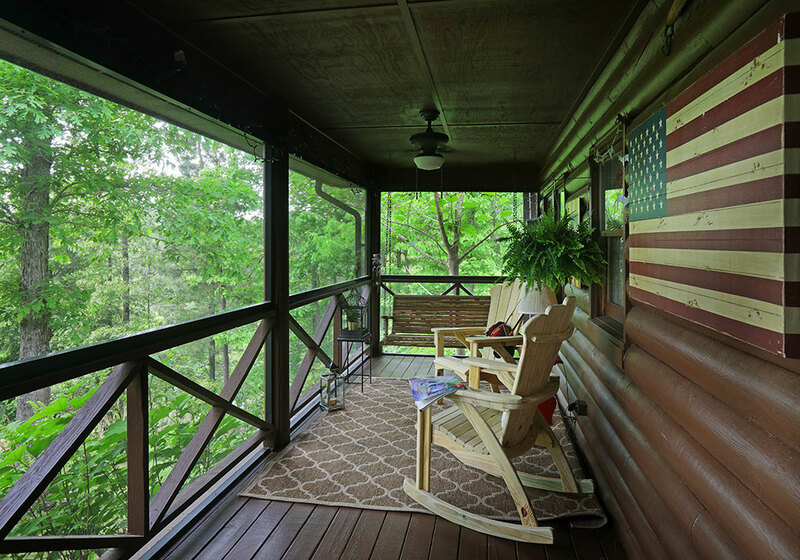 He was headed to Iraq, so he wanted to be sure to get a visit in before he went overseas, but he also talked about his desire to own a log home one day. Before he left, Michael asked for his mailing address, so he could send him a catalog. Years later, he confessed he spent precious combat downtime leafing through that booklet page by page, dreaming about his future. Years later Joyce and Oscar, were approaching retirement. Joyce’s mother had since passed away, and Joyce inherited her little log cabin. At their son’s urging, they met with Michael to discuss remodeling the cabin to make it more suitable as their retirement home. 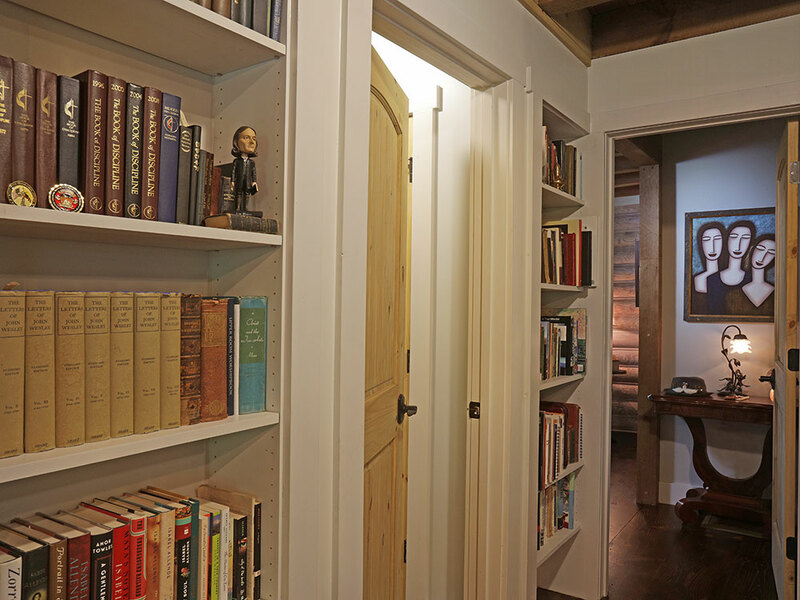 What Michael found when he toured the house was a cabin waiting to be re-imagined into the charming, warm, comfortable home it is today. Joyce and Oscar were full of ideas as to how they wanted the spaces to look and feel, but first, decades of knickknacks, yard sale finds and well-used furniture had to be cleared out to make way for a new vision. Meticulous measurements were taken and the plan “as built” was redrawn so the Modern Rustic Team could reinvent the spaces into an open plan that supported their lifestyle. The design solution needed to showcase the couple’s collections from their years of ministry travels, as well as those irreplaceable treasures crafted with love by their children and grandchildren. 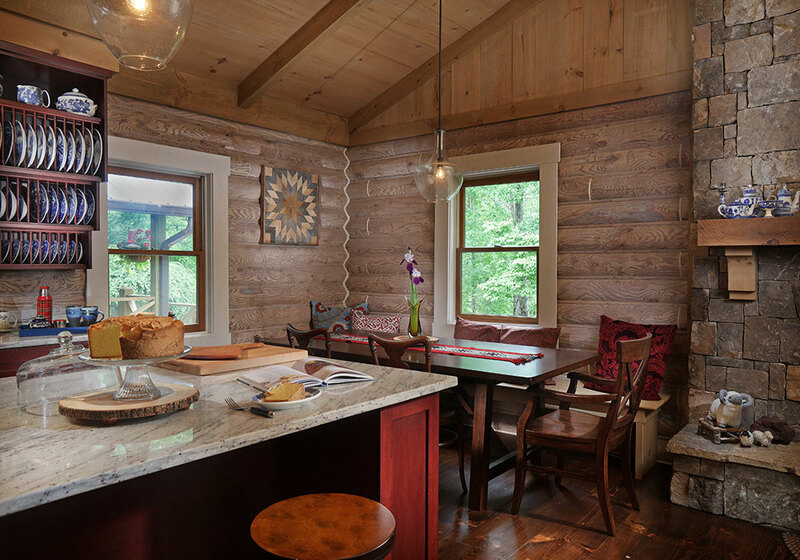 Where the original cabin was a mix of cramped, compartmentalized spaces, the remodeled design produced a bright, open area for family to gather. The rooms are casual by design. 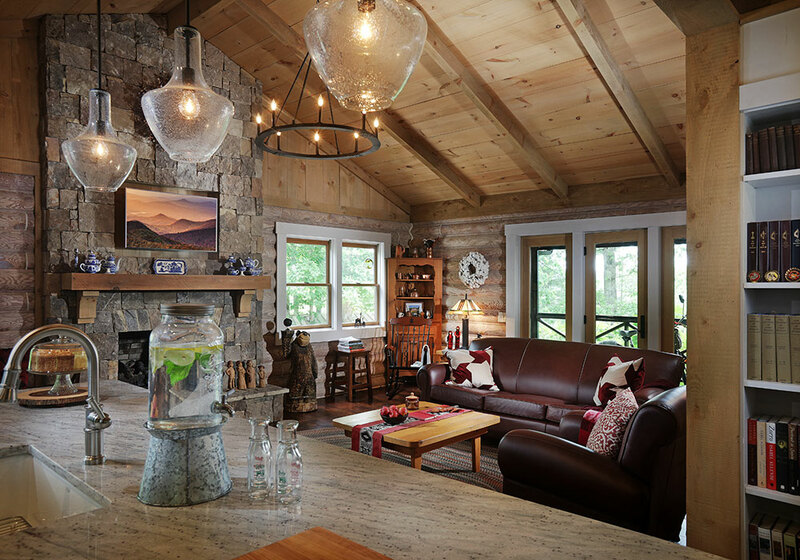 The living room shares the open plan with the dining area and kitchen, allowing for easy conversation and a full view of the stone fireplace from every room. 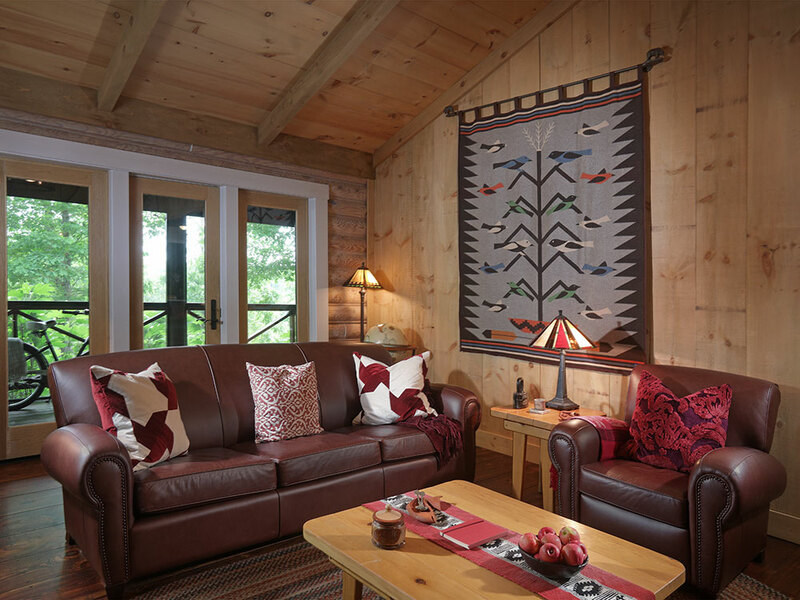 The vaulted ceiling with its heavy timber beams gives the home that comfortable cabin feel. 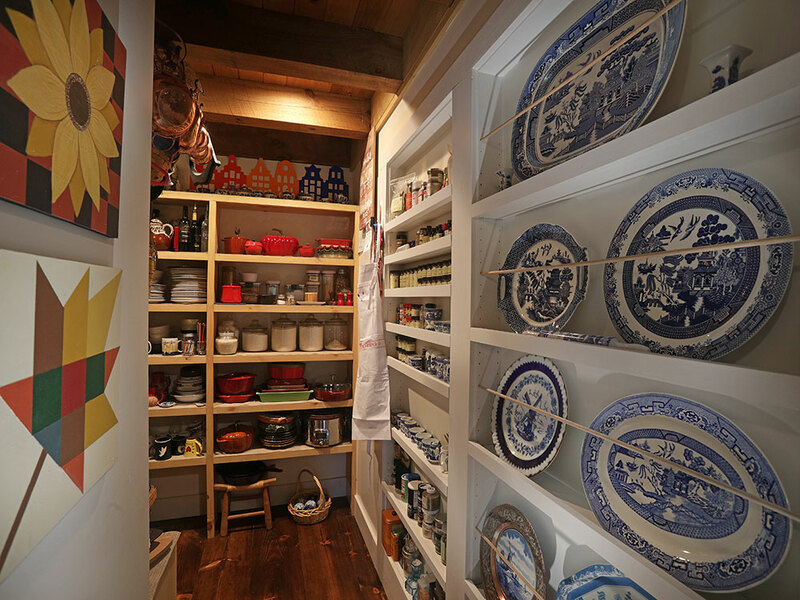 Joyce envisioned a generous kitchen with professional-grade appliances, ample room to display her prized Blue Willow dishes and well-designed storage for spices, serving pieces and dry goods in the adjacent open pantry. The kitchen has a large island that provides space for eating, prep and serving. 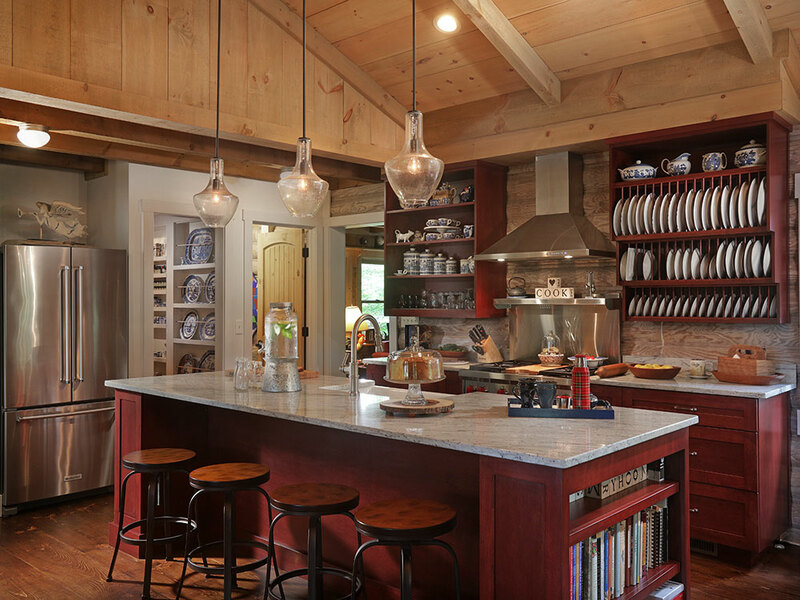 Additional storage was constructed in the built-ins to accommodate cookware, a dishwasher and waste containers. In the corner of the kitchen is a dining banquette that can seat up to eight people yet doesn’t intrude on the space. Joyce’s keen eye produced a terrific area to cook and entertain. What was a two-bedroom floor plan on the main level was redesigned into one large master with a walk-in closet and en suite. 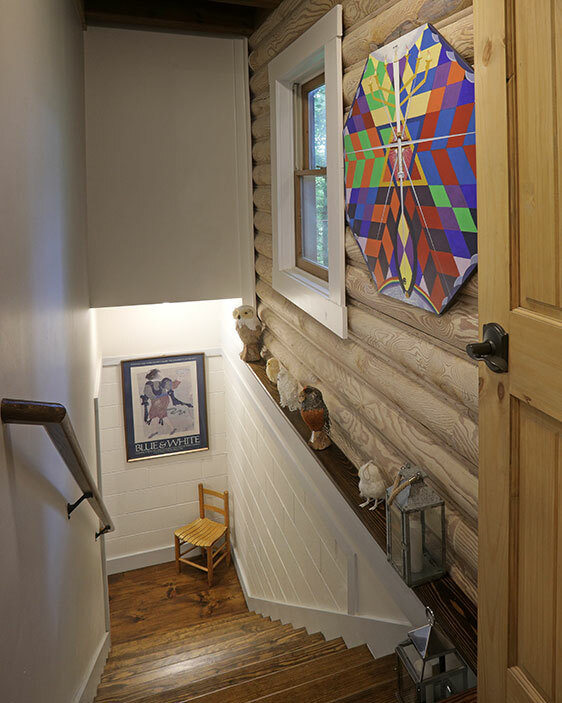 A new staircase was installed to provide access to the terrace level (basement), which now has a utility/storage area, a full bathroom and a bunk room designed and built by Oscar and their son, Sam. 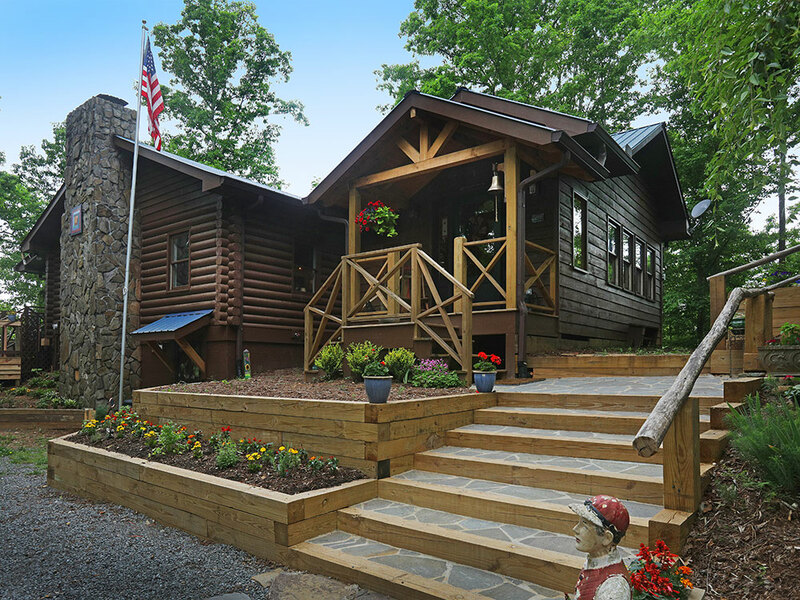 The home is small, but the Carrascos enjoy every part of their log cabin and its beautiful wooded property. Oscar has lovingly cared for the existing gardens and created new ones. 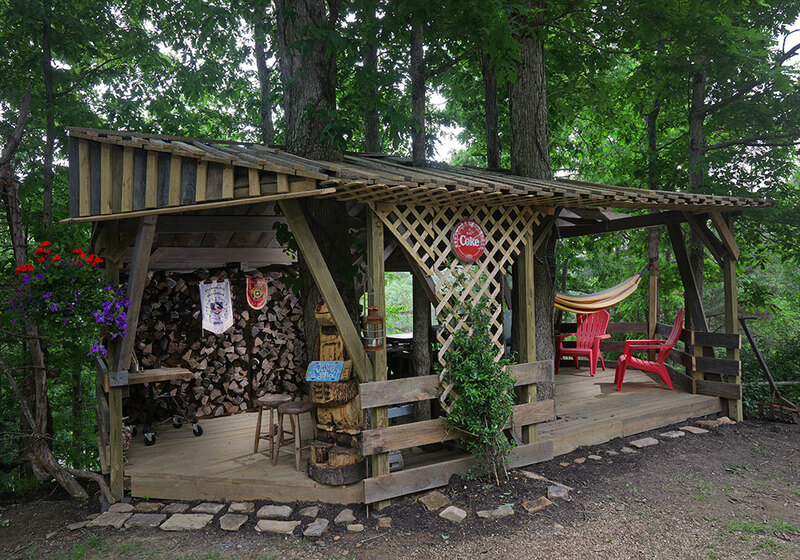 Subscribing to the concept of “wabi sabi,” a Japanese-influenced aesthetic based on the acceptance of imperfections, he has built a perfectly imperfect woodshed where firewood is neatly stacked and a Colombian hammock provides a comfortable respite from the intense Georgia heat. Joyce and Oscar have raised their four children, supported them through college and graduate school and watched them grow into adulthood and their respective careers. 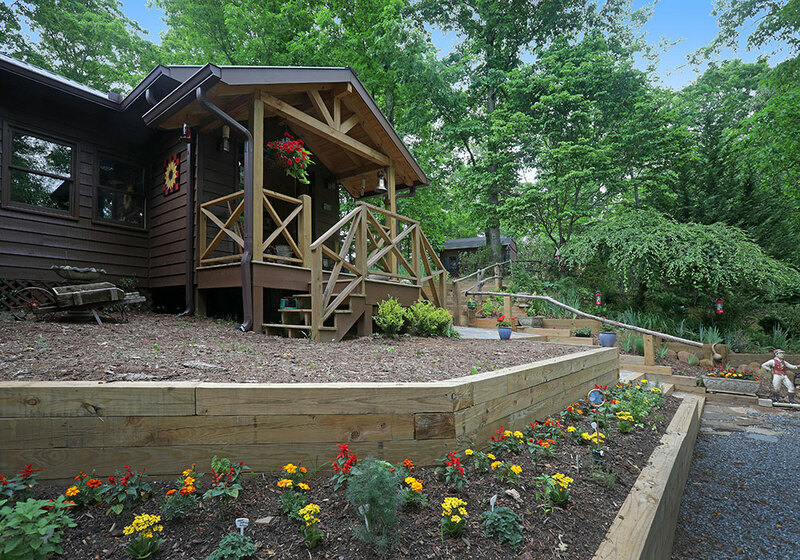 The little cabin is a part of each of their lives along with grandchildren and spouses. 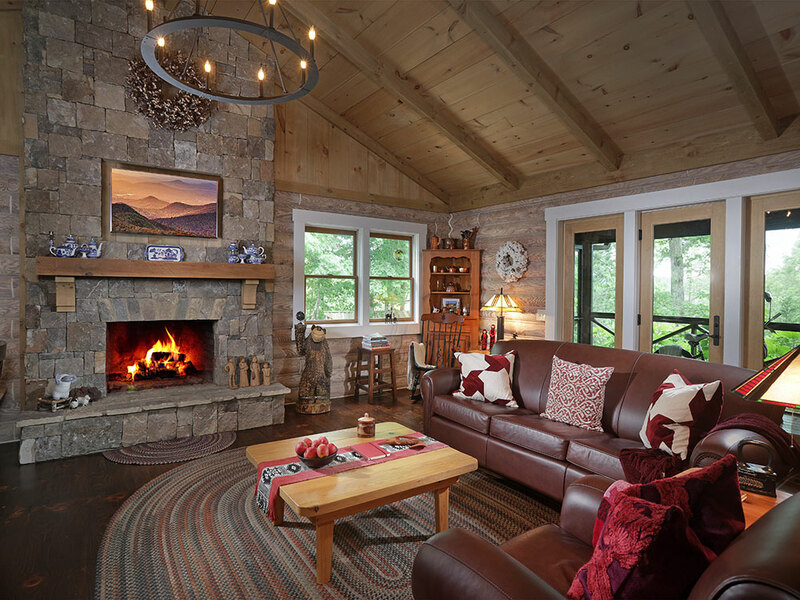 Lovingly named, “Rincon del Cielo,” meaning “Heaven’s Corner,” the humble cabin of four corners is a tapestry of dedicated and loving lives from the snow-capped Andes of southern Chile to the verdant mountains of north Georgia. Life couldn’t be sweeter. 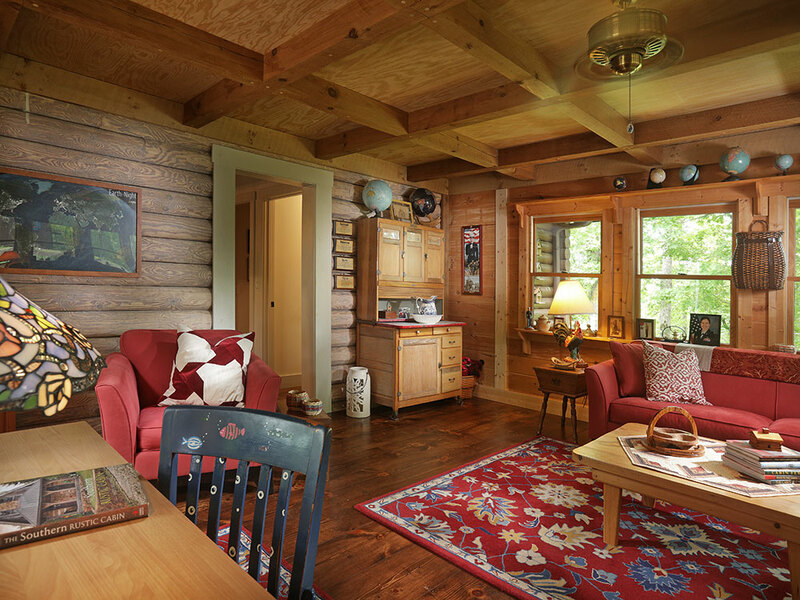 Building an addition to a log cabin that’s been standing for more than 30 years can be a challenge. For the Carrascos, the answer was to mix it up rather than match it. Timber details and shiplap siding in a coordinating shade of brown adds extra space and architectural interest. 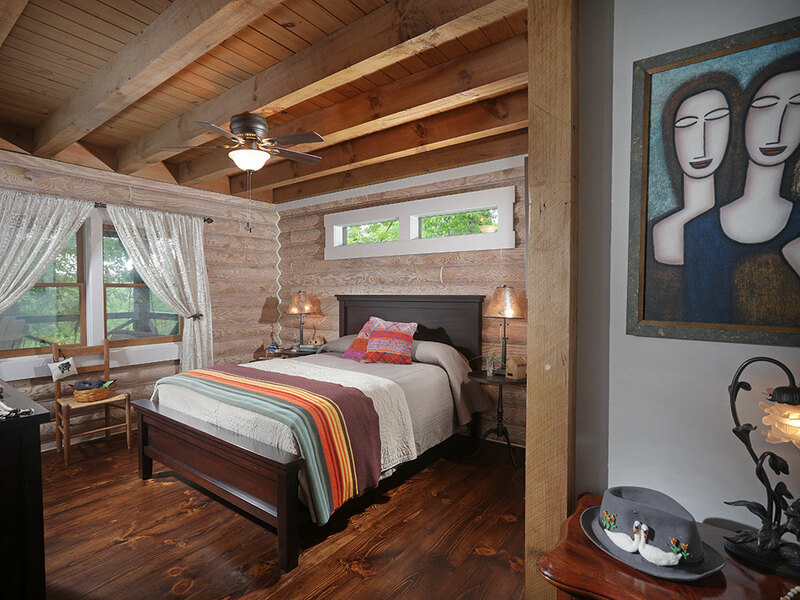 Though the logs are stained a rich mocha on the exterior, inside they’re kept light and bright, anchored by the original dark hardwood floor. Before the renovation, this area was compartmentalized. Now it’s wide open for modern family living. 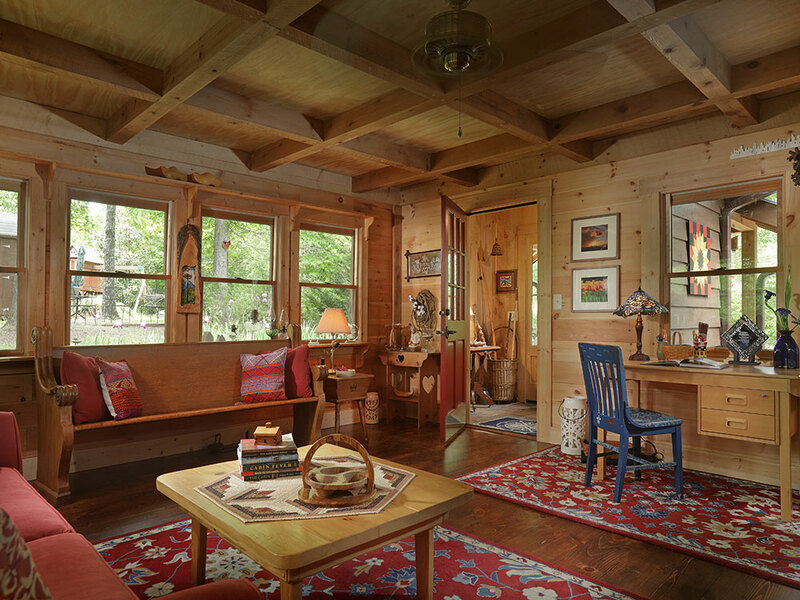 The sunroom addition to the original log cabin is a multifunctional space, featuring a mini home office with ample seating, including a church pew — a nod to the family’s work as missionaries. A trio of seeded-glass pendants illuminate the kitchen, which, along with the wide-open shelving, makes everything visible and accessible. A well-stocked, highly organized open pantry also affords Joyce the ability to display her prized collection of Blue Willow china. The main-level master was originally two tiny bedrooms in the design. Michael Grant and team combined them into a spacious suite with an attached bath (bottom). 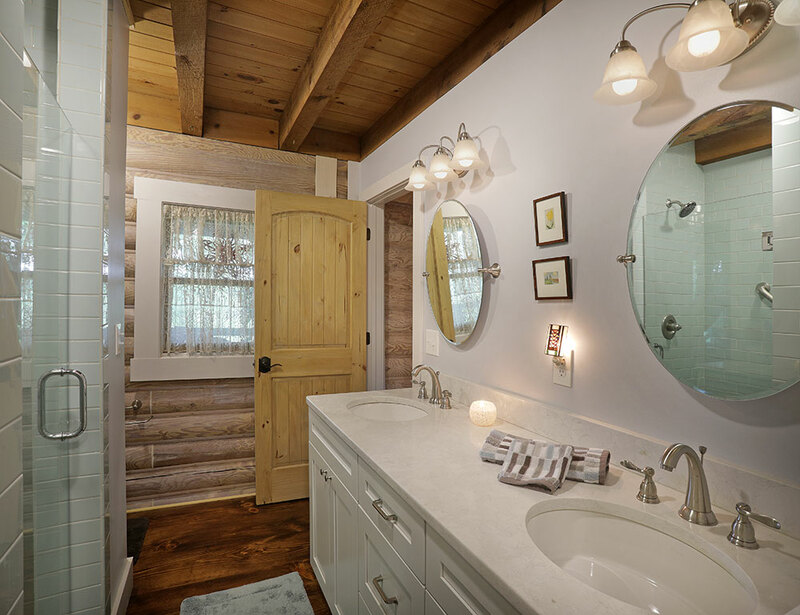 As the master bath is the only bathroom on the floor, it shares access with the cabin’s communal spaces — a smart approach in a smaller home. Like birds perched among the treetops, the screened-porch gives the Carrascos a tranquil vantage point. Subscribing to the concept of “wabi sabi,” a Japanese aesthetic based on the acceptance of imperfections, Oscar built a perfectly imperfect woodshed where a hammock provides respite from the intense Georgia heat.